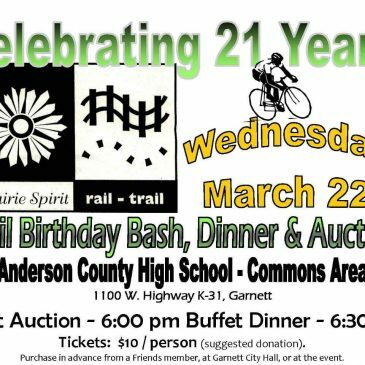 Come celebrate the Prairie Spirit Trail’s 22nd birthday, with a buffet dinner in Garnett, on March 21st at 6pm. 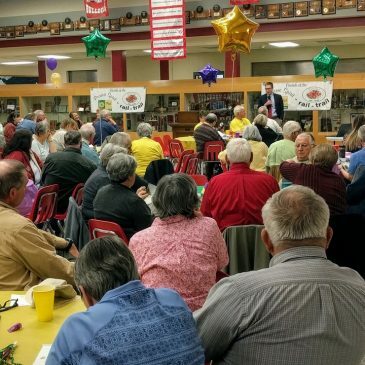 Iola has once again been crowned the Prairie Spirit Trail Challenge Champion, in this annual summer competition of communities along the Prairie Spirit Trail. 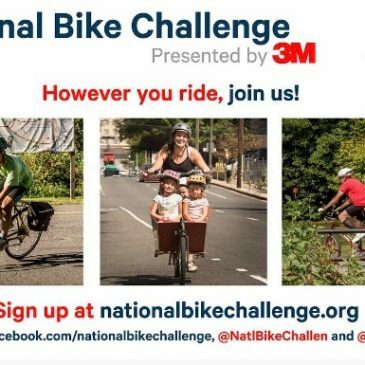 With one month of the National Bike Challenge completed, here are the rankings for communities along the Prairie Spirit Trail. 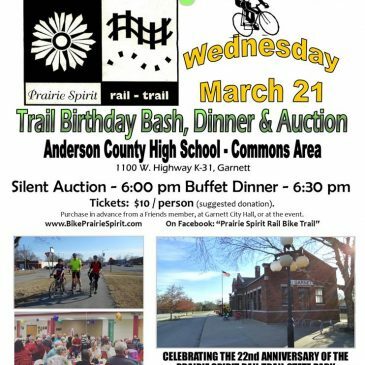 The Prairie Spirit Trail Challenge allows communities along the trail to compete in the National Bike Challenge. 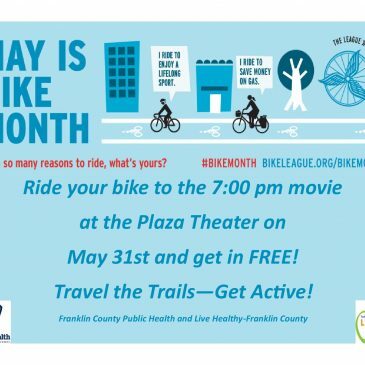 Sign up and log those miles! Who’s going to be the top trail town this year? 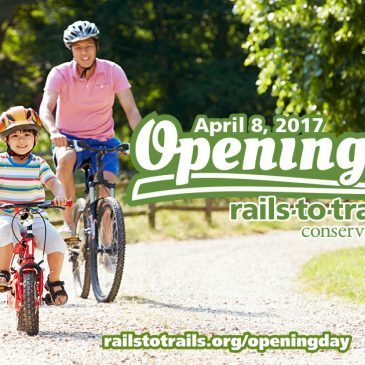 The annual Opening Day for Trails event is a nice reminder to get out and enjoy our wonderful Prairie Spirit Trail! 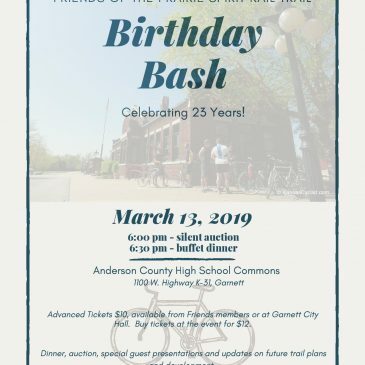 The Prairie Spirit Trail’s 21st birthday was celebrated in grand style in Garnett, with news and updates from communities along the trail. Celebrate National Trails Day on June 4th with a Free Use Day on the Prairie Spirit Trail … no trail permit required!